The intent of the International Studies requirement is to deepen student knowledge and understanding of international issues related to the scientific and sociological themes in CALS; develop openness, awareness and respect with regard to other cultures; and prepare students to address global challenges as engaged employees and active citizens. The 3 credit requirement may be fulfilled as either a stand-alone 3 credit course or as a set of courses as listed below. Paired courses. Both must be taken to satisfy 3 credit international studies requirement. 1Some courses listed above are “special topics” courses, internships or directed study. Only the specific course sections listed are approved to meet the CALS International Studies requirement. Most of these courses will require manual modification of a student’s degree audit. If your DARS does not correctly represent any of these courses to fulfill the International Studies requirement you should complete this form and submit to academicaffairs@cals.wisc.edu. 2Students do not individually enroll in study abroad courses. They must apply to the specific program through the program website and will be enrolled in the course by UW study abroad staff. Courses taken through approved UW-Madison study abroad programs post to the student’s record as specific UW-Madison course equivalencies. If the equivalent UW-Madison course is on the approved International Studies on campus and online course list, then the study abroad course can be used to fulfill this requirement and no further action is needed. 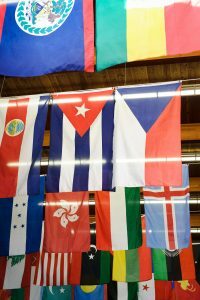 Although highly unusual, in extenuating circumstances students who take a UW-Madison course that is not on the approved International Studies course list may request approval by appeal. Students who take a course on the new list prior to fall 2019 may request that the course be used to fulfill the International Studies requirement by submitting a syllabus from the course at the time they took it and a statement from the course instructor confirming that the course did not change significantly between when the course was taken and fall 2019 to academicaffairs@cals.wisc.edu. Students who take a course on the old list in fall 2019 or after WILL NOT be eligible for an exception. Students may appeal to have a course satisfy the CALS International Studies Requirement by submitting an appeal request form with a description of how the course satisfies all criteria for the CALS International Studies Requirement. Students are especially encouraged to carefully review the International Studies course criteria and learning outcomes. In addition to the exception request form, students must submit a course syllabus with a weekly schedule, learning outcomes, readings, contact time, assignments, and grade expectations. Students considering study abroad to fulfill this requirement may submit up to two courses for appeal, and are encouraged to do so as early as possible. In cases where syllabi are not available from the partner institution, students will need to create a syllabus using the form provided in their online study abroad portal. Decisions will be made by a committee consisting of the Chair of the CALS Curriculum Committee, the Director of International Education and Study Abroad, and the Assistant Dean for Academic Programs and Planning. Courses approved through the appeal process will be on an individual basis, and DARS exceptions will be processed for completion of the International Studies requirement. Decisions of the committee are final.